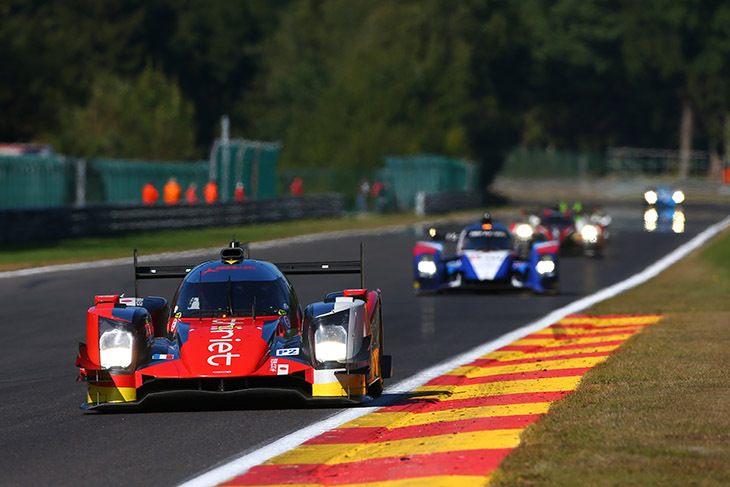 Having topped both free-practice sessions and claimed pole position, the #21 DragonSpeed Oreca’s crew of Nicolas Lapierre, Ben Hanley and Henrik Hedman completed a perfect European Le Mans Series weekend by winning Sunday’s 4 Hours of Spa. They were pushed hard by series debutant WRT on its debut: Laurens Vanthoor, Dries Vanthoor and ex-F1 man Will Stevens laying down a big marker on their first appearance in ELMS competition by claiming second ahead of the still points-leading Thiriet by TDS Oreca crew of Mathias Beche, Pierre Thiriet and Ryo Hirakawa in third. 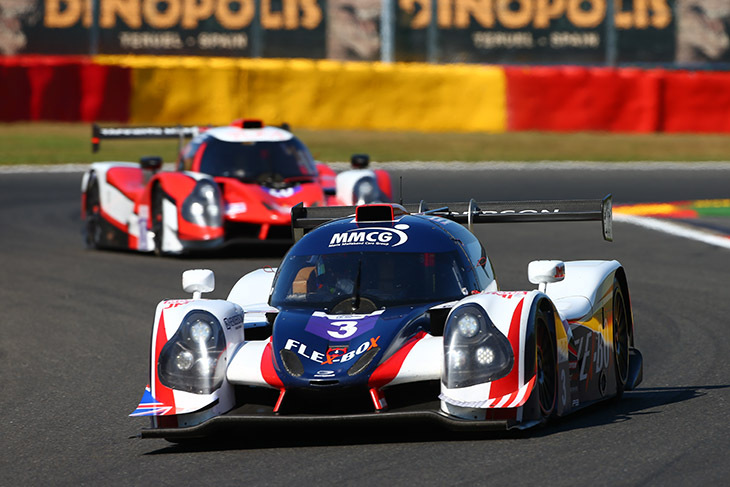 In LMP3, the #2 United Autosports crew of Christian England, Mike Guasch and Alex Brundle claimed the 2016 ELMS LMP3 drivers’ title with a drive to second place behind the #9 Graff Racing Ligier of Enzo Guibbert, Eric Trouillet and Paul Petit. The podium was completed by the other United Autosports entry, the #3 of Mark Patterson, Matt Bell and Wayne Boyd. GTE victory went the way of the #66 JMW Ferrari of Rory Butcher, Andrea Bertolini and Robert Smith, ahead of the #88 Proton Porsche of Cairoli, Reid and Roda and the #51 AF Corse Ferrari of Griffin, Scott and Cameron. While LMP3 is now wrapped up, the results in the other classes mean both the LMP2 and GTE titles will be decided at October’s season finale in Estoril. 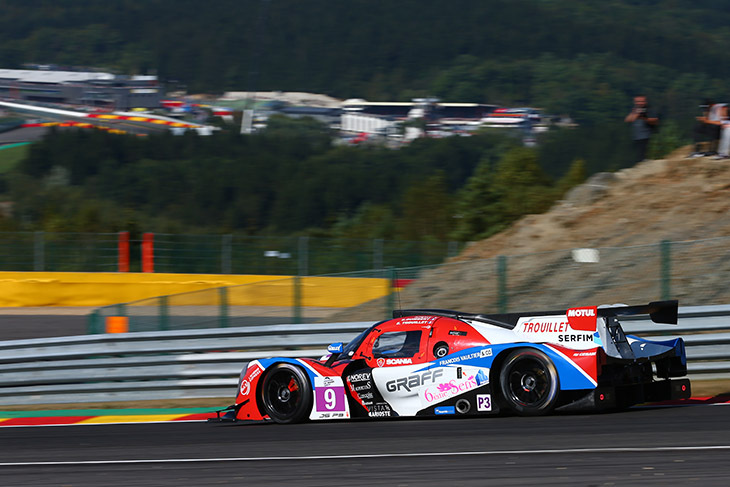 It was a clean start for polesitter Lapierre and a careful one for Thiriet in the #46 TDS Oreca as the Frenchman quickly lost two places to the #38 G-Drive Gibson and #33 Eurasia Motorsport Oreca. But the #33 car spun and stopped on track during the race’s first lap as a consequence of a lost rear wheel and this incident triggered a short full-course yellow. 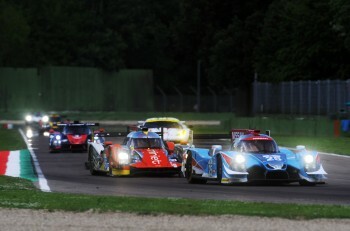 On the restart, Lapierre consolidated his lead ahead of the #38 and the #41 Greaves Motorsport Ligier. On lap 10, contact between #40 Krohn Racing Ligier and #60 Formula Racing Ferrari triggered a second full-course yellow episode. When race resumed, Lapierre extended his lead significantly ahead of the #46 TDS and #32 SMP cars. The two leading cars eventually stopped on lap 20 and left the first positions to #38 G-Drive Gibson and #47 WRT Ligier (above), with those cars making their first driver changes 10 laps later. This allowed Pierre Thiriet to take the lead with a 30-second lap over the #38 and #32. On lap 37, the safety car was released after Gary Findlay’s #48 Murphy Prototypes Oreca 03 made significant contact with the T9 barriers. The #32 SMP immediately pitted and Thiriet took the opportunity of this race interruption to hand over the wheel to Ryo Hirakawa. After this first safety-car period, the #38 G-Drive returned to the lead of the race, ahead of the #47 WRT and #41 Greaves Ligiers. Only a few moments later, right after the mid-race point, another car hit the T9 barriers. This time, it was Remy Streibig in the #29 Pegasus Racing Morgan. This triggered a second (and pretty long) safety-car episode during which most leading cars stayed out on track, except the #47 WRT Ligier, which made a stop. Other leading cars detrimentally pitted right as the safety car parked. This was one of the defining moments of the race, as it allowed the #47 WRT Ligier to return to first, ahead of the DragonSpeed Oreca and three cars in close contention: the #28 IDEC Sport Ligier, the #25 Algarve Pro Ligier and the #32 SMP BR01. Later, the #28 slowly slipped back while the #32 was called in to repair its headlights. 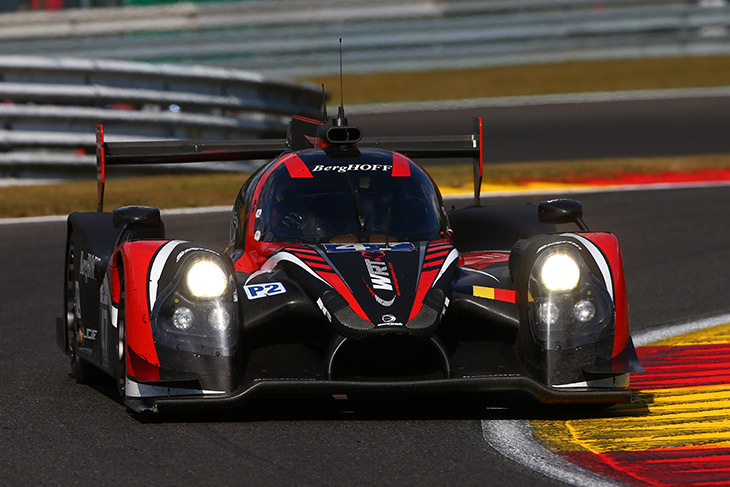 At 50 minutes before the end of the race, Laurens Vanthoor took over from younger brother Dries, and right as they took the lead, the Dragonspeed car received a five-second pit-stop time penalty for overtaking under the safety car. This again supported Laurens Vanthoor’s return to first position with a minor gap over the DragonSpeed car and 48 seconds over the #46 Thiriet machine. But Lapierre in the #21 overtook Vanthoor easily and regained the lead on a partially wet track just 30 minutes before the end of the race. The top two positions remained unchanged until the end. but Beche in the #46 Thiriet (above) and Pizzitola in the #25 Algarve Pro car fought for third place fiercely until an incident occurred at T14. Pizzitola got stuck in the gravel trap while Beche saw the chequered flag of a race that ended under a full-course yellow. The two long safety-car periods meant all the LMP3 podium finishers were able to save fuel and complete their races on a three-stop strategy instead of the usual four (although the winning Graff car [above] did make four pit visits, due to a drive-through for having the engine running during refuelling at one of its stops). Enzo Guibbert maintained the #9’s lead from pole position in the early stages, while Alex Brundle got from fifth to second off the grid in the #2 United Ligier (above) before the first safety car came out towards the end of lap one. 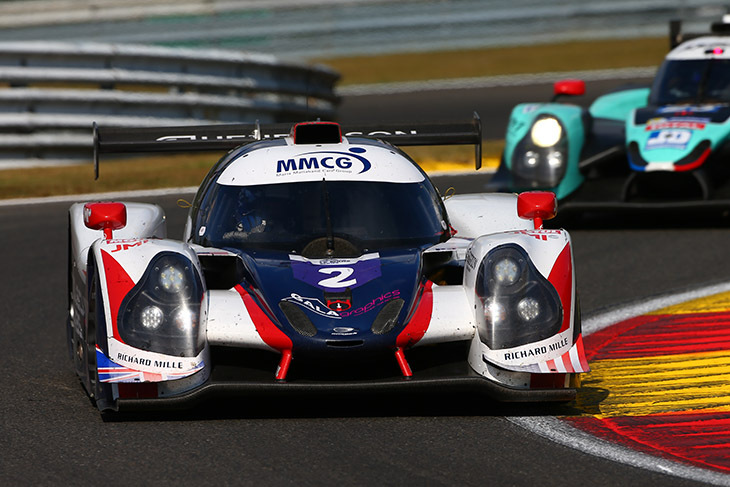 As has become customary, both United Autosports cars took one of the mandated longer stops for LMP3 runners at the first opportunity after about an hour’s racing, putting them down in ninth (#3) and 11th (#2) after the cycle. Guasch, having take over the championship-leading #2 from Brundle, soon got himself up to ninth, before the second safety-car period for the Murphy Prototypes LMP2 crash temporarily neutralised racing. A pitstop time miscalculation meant the Yvan Muller Racing car went for but didn’t actually make a ‘long’ stop on its first visit to the pits, meaning both its second and third stops had to be of the long duration too and it eventually finished 12th having realistically been in contention for the win. 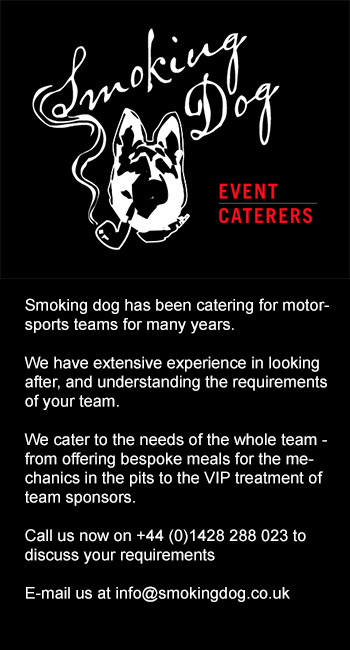 One place ahead of that were the Tockwith Motorsports crew, who were also left wondering what might have been. Having looked good with 90 minutes remaining for a podium for himself and Nigel Moore, Philip Hanson suffered a puncture with 45 minutes to go, leaving the track and having to recover to the pits. 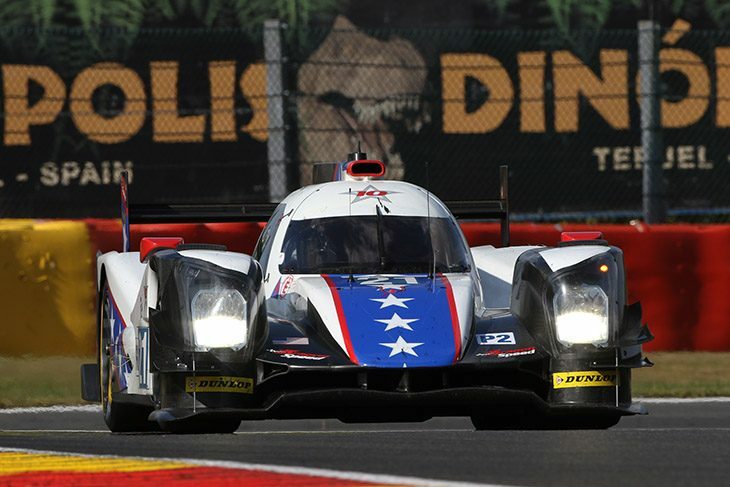 This partly helped United Autosports (above) to its double podium finish and also benefitted the eventual fourth-place finishing #17 Ultimate Having car, which had started the race down in 11th and rose steadily through the order. The #6 360 Racing squad of James Swift, Terence Woodward and Ross Kaiser pulled off a similar feat to come home fifth, just ahead of the #13 Inter Europol Ligier of Jens Petersen and Jakub Smiechowski in sixth and the penalised #10 Graff entry of Sean Rayhall, Jon Falb and Vicente Potolicchio in seventh. 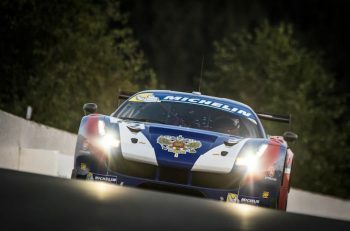 RLR Motorsport, Villorba Corse and Duqueine Engineering claimed eighth, ninth and 10th respectively. Rory Butcher made an incredible start on board the eventual race-winning #66 JMW Ferrari: the Brit jumped from fourth to first on the first lap. 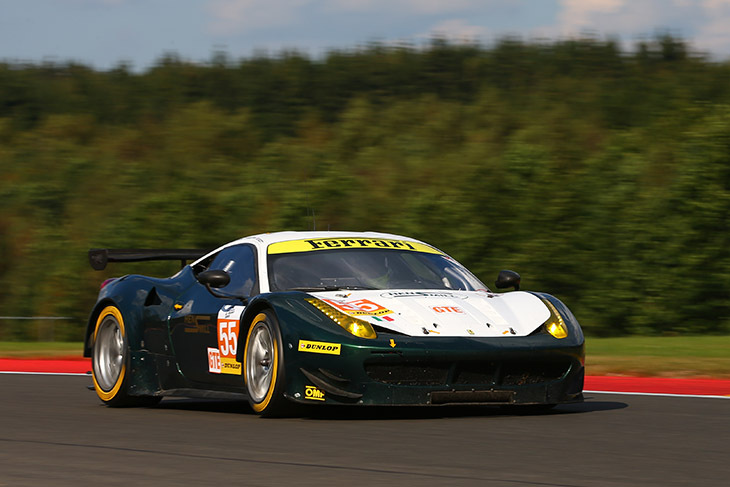 He was followed by the polesitting #56 AT Racing Ferrari and the #55 AF Corse Ferrari of Duncan Cameron. On the restart, the #55 dropped several positions while the #66 pulled away from Rui Aguas in the #51 AF Corse Ferrari and Alexander Talkanitsa in the #56. During the second full-course yellow, the #56 and and #51 pitted. On the restart, the #66 kept the lead ahead of the #56 and the #88 Proton Porsche driven by Gianluca Roda (above). On lap 20, the #56 spun and the #88 Porsche stopped for a tyre change, soon followed by the leading car and the #55 AF Corse Ferrari. 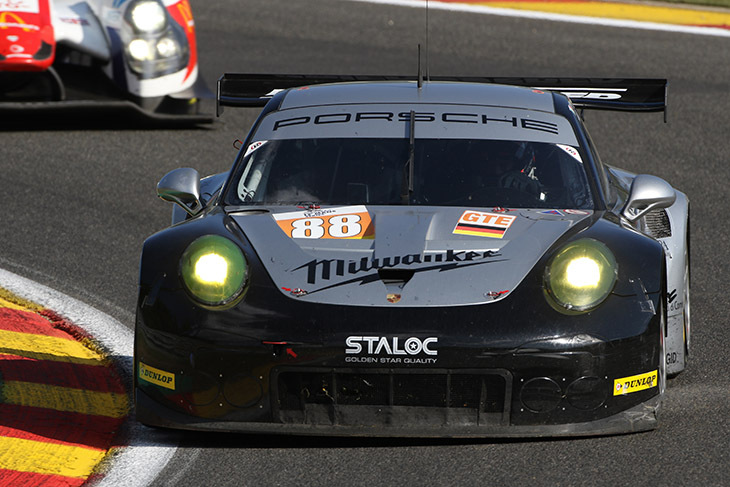 After this first round of stops, the #66 kept the lead ahead of the #51 Ferrari and #88 Porsche. The #51 Ferrari had to make a lengthy pit stop after a significant contact with the #41 Greaves Motorsport Ligier at Blanchimont. This left the second, third and fourth places to the two Proton Porsches and to the #55 AF Corse car (above). 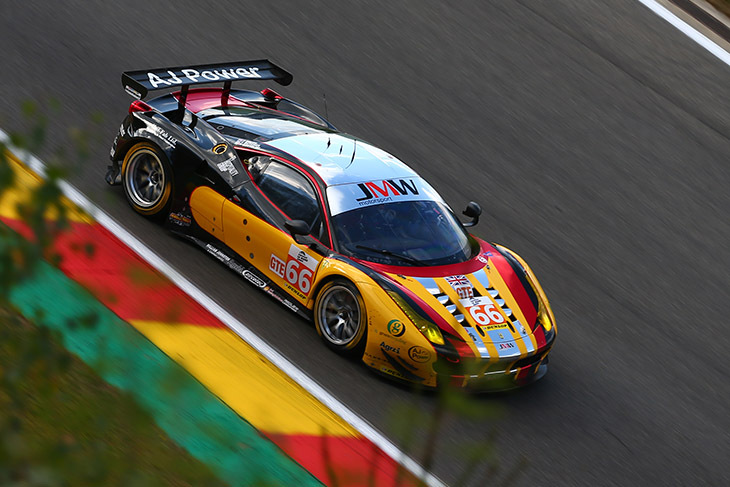 The JMW Ferrari extended its lead to over a lap by getting the best out of the two consecutive safety-car episodes. In the final hour of the race, the #88 Proton Porsche secured its second position, while third place remained disputed between the #77 Proton Competition Porsche and #55 AF Corse Ferrari until the very last moments of the race, when Matt Griffin got past to claim a podium.